Logic Supply has just unveiled their latest industrial grade computer with ML350 model that features an Intel Celeron or Pentium Apollo Lake processor, with up to 8GB RAM, two DisplayPorts, up to two Gigabit Ethernet ports, mPCIe and mSATA expansion slots and more. Mounting options include DIN, VESA, or wall-mounts. 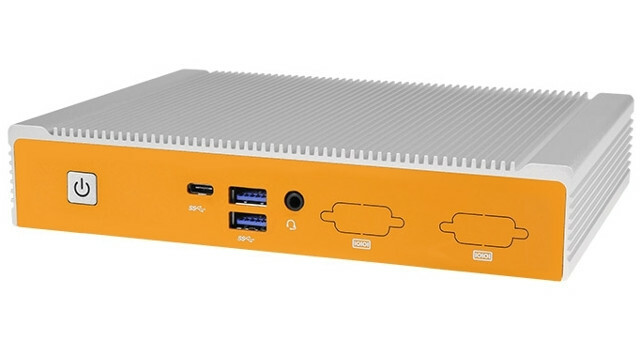 The mini PC can be purchased without operating system, but the company can also install Ubuntu 16.04 LTS, Windows 10 IoT, Windows 10 Home or Windows 10 Pro at extra cost. Typical applications for this type of system include digital signage & kiosk, industrial workstation, and industrial automation hub. The basic configuration with Intel Celeron N3350 motherboard with a single Gigabit Ethernet port, 4GB RAM, 32 GB mSATA SSD, no wireless module nor COM ports, and a 12V/3A goes for $558.95 and up, while the Pentium N4200 model with dual Gigabit Ethernet starts at $639.95. You can try to build your own configuration to see what the options are, and what the total price would be. Discount are available for volume orders.